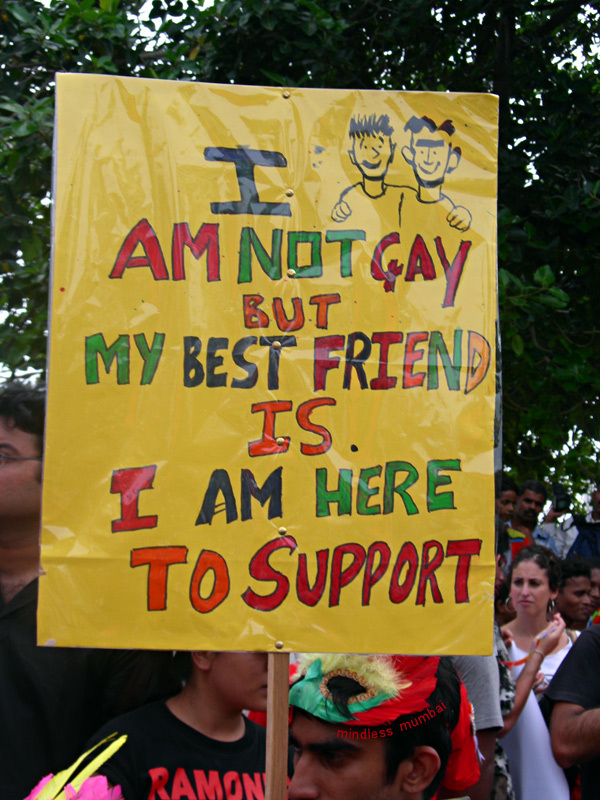 at the queer azadi march, mumbai's first GLBT pride march. article coming up soon. This shot reminded me of one of my very favorite movies My Brother Nikhil with Sanjay Suri and Juhi Chawla. (If you haven't seen it, see it.) I can almost hear the "theme song", Le Chale, playing in this photo. Pictures like this warm my heart and give me hope! Excellent photo!